Kentucky Derby (G1) contender Instilled Regard was bred by KatieRich Farms within its first decade of operation in the Bluegrass, but as a grandson of incoming Hall of Famer Heavenly Prize, his pedigree is old-school. Larry and Karen Doyle’s nom de course, KatieRich, is a combination of their children’s names. Initially a New York-based racing stable, KatieRich took on new life after the Doyles purchased a Midway, Kentucky, cattle farm in 2007 and converted it into a Thoroughbred nursery. 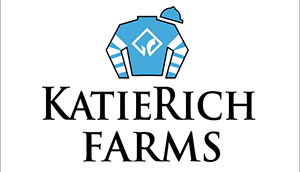 KatieRich has already bred several stakes winners including Faithfully, runner-up to Paradise Woods in the Zenyatta (G1) and third to Stellar Wind in the Clement L. Hirsch (G1), and Comfort, second to Frosted in the 2016 Whitney (G1). And Grade 3-placed turf performer Call Provision, bred in New York, is knocking on the door. Instilled Regard, however, has brought the breeding operation to another level. His dam, Enhancing, is a royally bred daughter of Forestry and Heavenly Prize. She was acquired privately, as part of a package from the Phipps Stable, after failing to win in three starts as a juvenile. Enhancing managed to break her maiden at Beulah Park for KatieRich and trainer Mark Hubley, finished fifth in a Mountaineer allowance, and called it a career. Of course, Enhancing’s real appeal was as a broodmare prospect thanks to her Phipps family. Dam Heavenly Prize, the champion three-year-old filly of 1994, captured eight Grade 1 races over the course of her career. She went on to become an outstanding producer responsible for Good Reward and Pure Prize (both sires). Heavenly Prize is herself a half-sister to Grade 1 winner Oh What a Windfall, and among her other maternal relatives are Breeders’ Cup Sprint (G1) hero Dancing Spree, Dancing Forever, Finder’s Fee, and Furlough. Considering how deep the female line goes, it’s not a surprise that Heavenly Prize’s daughters can hand that genetic gold mine down to their foals even if they didn’t show it themselves on the racetrack. Three of her daughters are graded stakes producers. Just Reward is the dam of Phipps homebred Persistently, who famously shocked Rachel Alexandra in the 2010 Personal Ensign (G1). The other two went to KatieRich – Distinctively, dam of the aforementioned Faithfully, and Enhancing. The decision to breed Enhancing to Instilled Regard’s sire, Arch, was a clever one, and not just because he was a Claiborne stallion and the Phipps clan long-time Claiborne residents. It echoes a pedigree pattern found in Arch’s best son, Blame. The champion who thwarted Zenyatta’s perfect record in the 2010 Breeders’ Cup Classic (G1), Blame is out of a mare by Seeking the Gold, and his second dam (granddam) is by Nijinsky II. Heavenly Prize is herself by Seeking the Gold and out of a Nijinsky II mare. Instilled Regard was foaled on April 6, 2015, and proved a lovable character from the start. “He was very sweet-natured and easy going. Never any trouble,” recalled Tammy Ingebritson, KatieRich’s farm manager. The only thing the yet-unnamed colt would do, on occasion, was want to break free and run during his sales prep. 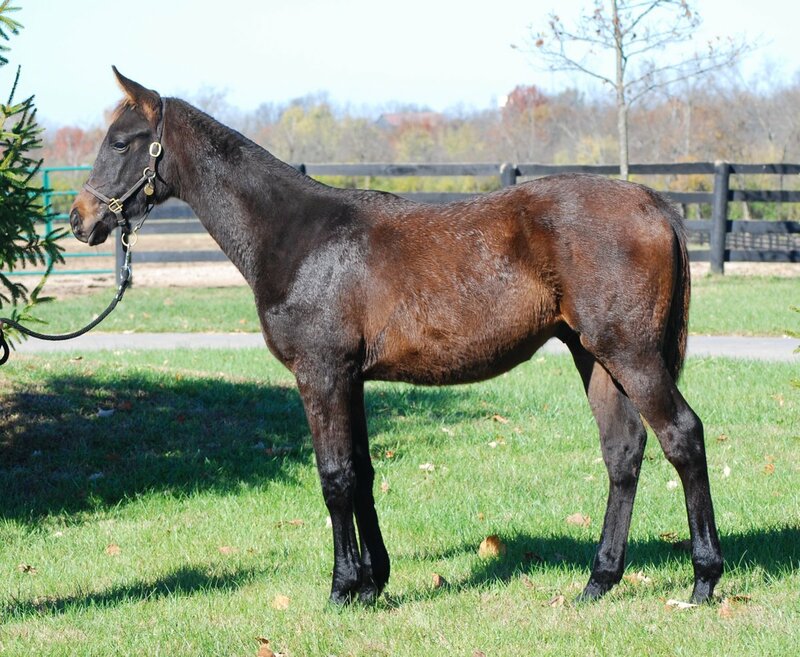 In the summer of his yearling year, Instilled Regard still looked babyish and backward. That put him at a disadvantage compared to the show-stoppers in the exclusive Book 1 of the Keeneland September Yearling Sale. A later spot in the catalog would have helped him, but his pedigree bumped him up. When he toured the sales ring, bidding maxed out at $110,000, below the reserve price that KatieRich had set for him. But a private sale was later concluded on the Keeneland grounds. What a difference six months made. Prepared by consignor Tom McCrocklin, agent, for the Ocala Breeders’ Sales Company’s March Sale, the dark bay colt turned heads with a blistering quarter-mile work in :20.80 at the under tack show. The time was fast, but his manner of going was particularly impressive. Now the son of Arch and Enhancing had become a hot property. In a complete turnaround from Keeneland September, a bidding war erupted and did not cease until Larry Best’s OXO Equine prevailed over Mike Ryan – at $1.05 million. To put that quotation in context, Ryan is the bloodstock agent who bought Derby rival Good Magic and 2016 Derby victor Nyquist, and co-bred 2017 Derby winner Always Dreaming.